For more than 50 years, Spa professionals have been using Galvanic current in customized facials to refresh and energise the skin through gentle electrical pulses that are completely non-invasive. By using the Galvanic facial Spa , combined with our AgeLOC facial gels, we can increase the skins absorption of the key ingredients by up to 5 times against using the gels alone, resulting in a smoother appearance of fine lines and wrinkles and rejuvenating your complexion. In fact studies have shown that 24 hours after using the Galvanic facial Spa, the skins ability to absorb ANY key ingredients in ANY other products you are using can be increased by more than 70%. The rejuvunating facial gels work by first drawing out dulling debris, allowing your pores to breathe then with the optimal delivery of anti aging ingredients featuring ageLOC, a proprietary patented technology that targets the visible signs of aging at its source, we can leave your skin looking visibly younger, vibrant and revitalised. Please find below a range of our galvanic facials designed to provide a personalsed treatment best suited to interpret your individual needs. 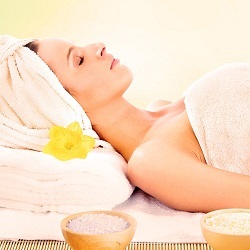 Time is of the essence with this superb facial express treatment. We can have you in and out in 20 minutes, rest assured that in no way does this impede on the quality and results you will see and feel by the end of this treatment. The treatment consists of a Nu Skin cleanse and tone followed by a non invasive electrical Galvanic Spa treatment, finished with a Nu Skin toner and a scrumptious moisturizer to end this short but superb treatment. This remarkable mild, non invasive micro dermabrasion treatment will leave your skin feeling silky soft and free of all those dead skin cells that have been sitting on the surface causing that dull look, following with the Galvanic Spa, which is a non invasive electrical pulse treatment. Resulting in a very beneficial deep pore cleansing treatment, finishing with a toner and moisturiser that best suites your skin type. 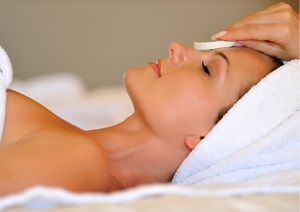 If you are looking for a really deep cleansing facial experience then look no further!! This Glacial Marine Mud Mask is in fact fortified with over 50 naturally occurring elements and minerals to include zinc, which helps modulate oil production and also aids in skin healing. Not only does this treatment absorb excess oil giving your skin a clear finish it also exfoliates your dead skin cells without the need for harsh rubbing whilst cleansing deep down into your pores. Last but not least we follow with the pre-treatment and treatment ageLOC gels used in conjunction with the Galvanic Spa, followed by a toner and moisturiser that best suits your skin type. The results..... Skin that is soft to touch, refreshed and brighter!! 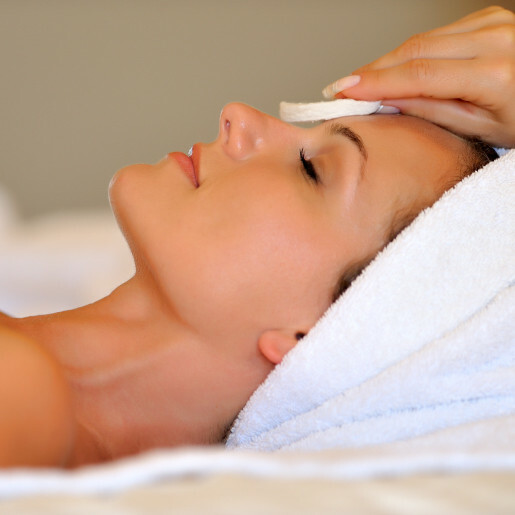 For that very special when you need to look your best you can be rest assured that this facial will leave you feeling radiant and refreshed. Diminishing fine lines and wrinkles, you will be pleasantly surprised by the results. Just as an added extra, an instant line corrector is applied at the end of this treatment to finalize this very self indulgent treatment. This value for money facial really does deliver a 5 star Hollywood treatment. Beginning with a skin cleanse to prepare your skin, ready for the Galvanic Spa, pre-treatment and treatment AgeLOC gels. This will condition your skin and open your pores ready for the nourishing creamy hydrating mask. This mask is a hydration magnet that binds moisture to the skin, reducing redness and bringing out your natural dewy glow, creating a radiant, healthy and beautiful finish. As if that was not enough, we then apply our face-lift treatment. instantly lifting and tightening your face and neck, soothing away the appearance of fine lines and wrinkles, delivering a more toned and textured, youthful and tighter appearance. Following on with a toner that best suits your skin type. Just as you thought your 5 star treatment was coming to an end we then apply our Instant Line Corrector which, with immediate effect, safely reduces the effects of years of habitual facial movements. What are Galvanic skin facials? Galvanic skin facials are used to tone up muscles, promote blood circulation, increase cell metabolism and activate enzymes. This treatment helps healing after surgical and non-surgical procedures and improves the quality and firmness of skin. During our facials, the skin is cleansed and a negatively charged conductive gel is applied using our Galvanic Facial Spa which is also charged with a negative electrical pulse, repelling the gel serum, which forces the gel deep into the skin, helping to open up the pores whilst the gel surrounds the impurities below the skins surface with a negative charge. The therapist then applies a second treatment serum which is positively charged. The Galvanic Spa is also positively charged at this point. This does two things, first it forces the positively charged gels, containing active anti-aging properties, deep into the skin. Secondly the positive charge attracts the negatively charged gel already in the skin, which is surrounding the impurities, pulling them out from deep under the skin to the surface.moves an applicator that conducts the galvanic current in the direction of lymphatic drainage and blood circulation or on the surface of the healing wound. This motion is repeated for minutes on the same area for optimum results. No, this is a totally non invasive treatment. If you have fillings then you may get a slight metal taste in your mouth but that will be it. Who can’t have Galvanic Facials. Any one that is pregnant, has a pace-maker (any electrical devices implanted), suffers from epilepsy or has any metal plates in their head. What to expect after our facials? Any slight redness will settle very quickly and make up can be applied immediately. Your skin will feel firm and fresh.